Jane Siebels grew up on a working farm in the small town of Anamosa, Iowa, where she began taking soybean orders over the phone at age 5. This early experience in commodities trading propelled her rapid ascent in investing : she funded her graduate education in management at the Thunderbird School of Global Management with profits she had made shorting stocks in college, and by 24 years old, she was managing $100 million in a portfolio of international stocks for Storebrand, a Norwegian reinsurance company. Her impressive performance at Storebrand, and later, at UBS, ultimately attracted the attention of Bahamas-based Templeton, Galbraith & Hansberger, which Jane joined in 1990. In an impressive career that had already spanned five countries in five years, it was here in Nassau that Jane made her name under the mentorship of the legendary Sir John Templeton. From 1990 to 1997, she managed $3 billion in capital and when that firm was sold, Templeton was one of the original backers of Jane’s first fund, the Green Cay Emerging Markets Fund. He also introduced Jane to Julian Robertson, who went on to seed Jane and make her the first “Tigress.” Jane currently lives in the Bahamas and runs the Siebels Hard Asset Commodity fund. Tom Gayner is the Executive Vice President and Chief Investment Officer Of Markel Corp and President, Markel Gayner Asset Management, Inc., the investment subsidiary Of Markel Corp since December of 1990. The asset under management is about $2 billion. Jeffrey Stacey is the Founder of Stacey Muirhead Capital Management Ltd. Jeff has almost 30 years of investment industry experience. Prior to starting Stacey Muirhead Capital Management Ltd., he was employed with a boutique Toronto investment firm where he was also a shareholder. Jeff has an Honours Bachelor of Business Administration degree from Wilfrid Laurier University and is a Chartered Financial Analyst. He is a member of the Finance and Investment Committee and an Advisory Board Member of the student managed School of Accounting and Finance Investment Fund at the University of Waterloo. He is also an Advisory Board Member of the student managed Ivey Value Fund at the University of Western Ontario. Additionally, he serves as a member of the Dean’s Advisory Council at the Wilfrid Laurier University School of Business and Economics and on the Board of Trustees at Parkminster United Church. He is a former director of Rainmaker Entertainment Inc. and previously served on the Board of Trustees and Investment Management Committee at the University of Guelph. Lountzis Asset Management, LLC is a registered investment adviser founded by Paul Lountzis in October 2000 to manage customized portfolios serving high net worth individuals, institutions and retirement plans. Our investment objective is to maximize the long term after tax returns for our clients in various economic and market conditions while emphasizing the preservation of capital. Prior to forming Lountzis Asset Management, LLC, Mr. Lountzis was employed by Ruane, Cunniff & Company, Inc., New York, NY, a registered investment adviser managing the Sequoia Mutual Fund as well as private accounts, from 1990 through 1999 as an analyst, and as a partner from 1995 through 1999. Mr. Lountzis was an analyst at Royce & Associates, Inc., New York, NY from 1989 through 1990 where he evaluated small and mid-cap stocks for purchase in institutional accounts as well as various mutual funds including the Pennsylvania Mutual Fund. Mr. Lountzis received a Bachelor of Science degree with a concentration in Finance and Management from Albright College, Reading, Pennsylvania in 1986. Ms. Adams has 36 years of experience in the investment business. Prior to joining Daruma, she spent 14 years as a managing principal and co-portfolio manager at CastleRock Management, an equity long/short fund focused on fundamental, bottom-up investing in the U.S. equity markets. than $20 billion in equity assets and Head of Chancellor's large-cap growth product with direct management responsibility for $7 billion in institutional assets. Additionally, Ms. Adams was a member of Chancellor LGT's Board of Directors. Ms. Adams joined Neuberger Berman in 1987 as a portfolio manager. She spent her early career as an equity analyst for Citicorp Investment Management following the technology sector and as an equity analyst at Scudder, Stevens & Clark following homebuilding and materials. Ms. Adams earned an MBA in Finance with distinction from the Wharton School, University of Pennsylvania in 1984 and a BA in Economics from Mount Holyoke College in 1979. Ronald H. Muhlenkamp Founder, President, and Portfolio Manager - Investment Team Ronald H. Muhlenkamp is founder and president of Muhlenkamp & Company, Inc., established in 1977 to manage private accounts for individuals and institutions. In 1988, Muhlenkamp & Company launched a no-load mutual fund as an investment vehicle for all investors, large or small. An award-winning investment manager, frequent guest of the media, and featured speaker at investment shows nationwide, Mr. Muhlenkamp’s entire business career has been devoted to the professional management of investment portfolios. His work since 1968 has been focused on extensive studies of investment management philosophies, both fundamental and technical. As a result of this research, he developed a proprietary method of evaluating both equity and fixed income securities, which continues to be employed by Muhlenkamp & Company. In addition to publishing his quarterly newsletter, Muhlenkamp Memorandum, Mr. Muhlenkamp is the author of Ron’s Road to Wealth: Insights for the Curious Investor. Mr. Muhlenkamp received a Bachelor of Science degree in Engineering from M.I.T. in 1966, and a Masters in Business Administration from the Harvard Business School in 1968. He holds a Chartered Financial Analyst (CFA) designation. He and his wife, Connie, make their home on a farm near Pittsburgh, but travel extensively to meet and talk with companies and clients around the country. The majority of Mr. Muhlenkamp’s long-term investment assets are invested in the Company’s self-named mutual fund. Arnold founded Century Management in 1974. He is a principal of the firm, the chief executive officer, co-chief investment officer, and a portfolio manager. He is also the co-portfolio manager for the firm’s separate account flagship strategy referred to as CM Value I (All-Cap Value), as well as the CM Advisors Fund (CMAFX). Arnold is chairman of the Century Management Advisory Committee, as well as chairman of the CM Advisors Family of Funds Board of Trustees. He is the lead portfolio manager for the firm’s separate account fixed income strategy referred to as CM Fixed Income, as well as for the CM Advisors Fixed Income Fund. Arnold’s accomplishments in the world of investing have most recently been featured in the 2013 book, The World’s 99 Greatest Investors: The Secret of Success by Magnus Angenfelt on pages 226-227. He is included on the list of “SuperInvestors” on the Graham and Doddsville blog and he is also featured on the list of investment gurus on GuruFocus. Arnold has been interviewed, quoted and referenced by numerous publications such as Outstanding Investor Digest, Seeking Alpha, Outlook Profit Magazine (India), Money Manager Review, NASDAQ.com, Forbes.com, and the Austin Business Journal. Arnold has no formal college education. It is through rigorous self-study, tremendous dedication, and over 45 years of industry experience that Arnold has gained his market knowledge. Prior to starting Century Management, he worked as a financial advisor/consultant for Capital Securities and John Hancock Insurance. Arnold is married and has three adult children and seven grandchildren. 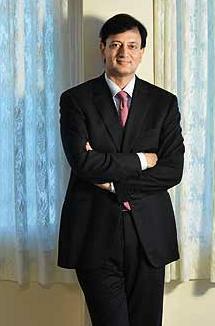 Click to read Arnold Van Den Berg's Interview by the Wall Street Transcript in the December 2013 Issue. Managing Member, Chief Executive Officer and Chief Investment Officer Chuck has been in the securities business since 1968 and continues to be the primary person responsible for Akre Capital Management's investment advisory services & investment selection. He previously held positions as shareholder, Director, CEO of Asset Management Division and Director of Research at Johnston, Lemon & Co (a NYSE member firm). Chuck established Akre Capital Management in 1989 and for a time operated it as part of Friedman, Billings, Ramsey & Co., ending in 1999. In 2000, Akre Capital Management again became independent and established its current location in 2002. Chuck holds a BA in English Literature from American University. Ms. Ketterer is the chief executive officer of Causeway, portfolio manager for the firm's fundamental and absolute returns strategies, and is responsible for investment research across all sectors. Ms. Ketterer is a member of Causeway's operating committee. She co-founded the firm in June 2001. From November 1996 to June 2001, Ms. Ketterer worked for the Hotchkis and Wiley division of Merrill Lynch Investment Managers ("HW-MLIM"). At HW-MLIM, she was a managing director and co-head of the firm's HW-MLIM International and Global Value team. From 1990 to 1996, Ms. Ketterer was a portfolio manager at Hotchkis and Wiley, where she co-founded the international equity product. Ms. Ketterer is currently a director of the Music Center Foundation, the Los Angeles World Affairs Council and the Broad Stage, as well a member of Stanford University’s Humanities & Sciences Council. Ms. Ketterer has a BA in Economics and Political Science from Stanford University and an MBA from the Amos Tuck School, Dartmouth College. Pat Dorsey is the founder of Dorsey Asset Management. Prior to starting Dorsey Asset, he was Director of Research for Sanibel Captiva Trust, an independent trust company with approximately $1 billion in assets under management serving high net worth clients. 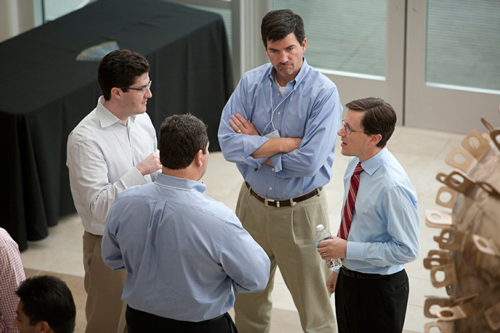 From 2000 to 2011, Pat was Director of Equity Research for Morningstar, where he led the growth of Morningstar’s equity research group from 10 to over 100 analysts. Pat developed Morningstar’s economic moat ratings, as well as the methodology behind Morningstar's framework for analyzing competitive advantage. Pat is also the author of two books — The Five Rules for Successful Stock Investing and The Little Book that Builds Wealth — and has been quoted in publications such as the Wall Street Journal, Fortune, the New York Times, and BusinessWeek. Pat holds a Master’s degree in Political Science from Northwestern University and a bachelor’s degree in government from Wesleyan University. He is a CFA charterholder. Read article about Megh Manseta. Memo "Some Thoughts on Becoming an Independent Fund Manager"
Bill Nygren is Portfolio Manager of The Oakmark Fund, The Oakmark Select Fund, and the Oakmark Global Select Fund. Bill has an M.S. in Finance from the University of Wisconsin-Madison, and a B.S. in Accounting from the University of Minnesota. Robert P. Miles is an internationally acclaimed keynote presenter, author and distinguished authority on Warren Buffett and Berkshire Hathaway. Pursued by journalists and media moguls on just about each and every move that Mr. Buffett makes, Robert is not only a long term shareholder of Berkshire Hathaway [nyse: BRKa/BRKb], he has had the great honor of getting to know Warren Buffett, the man and the remarkable wealth-building strategist. He is the author of 3 books, has created assorted audio and video programs, and has appeared on many radio and television programs on five continents, including NPR, CNN, CNN International, CNBC, FOX Business, Channel News Asia, Sky Business News, Shanghai Today, CNBC Asia, CNBC Africa and Bloomberg TV. His Buffett CEO book was featured as a special on National Public Television's Nightly Business Report. As the writer of the top-selling books, The Warren Buffett CEO: Secrets From the Berkshire Hathaway Managers and 101 Reasons To Own the World's Greatest Investment: Warren Buffett's Berkshire Hathaway [Wiley], Robert has relentlessly followed his passion and found great success in doing so. He is the author and presenter of Warren Buffett Wealth: Principles and Practical Methods Used by the World’s Greatest Investor[Wiley (book) and Nightingale (audio)]. He is host of the Buffett CEO Talk video series, conversations with the Berkshire Hathaway managers filmed before live studio audiences and broadcast on public television. Many of his live keynotes, along with his hardcover and paperback books have been translated into assorted foreign languages, including Chinese, Korean, Thai, Japanese, and Vietnamese. Known for his subtle wit and entertaining stories, this author without borders has shared his valuable insights, strategies, philosophies, and anecdotes with enthusiastic audiences throughout the world. For more than a decade, Miles has given hundreds of live presentations throughout North America, Europe, Asia, Africa and Australia in 15 countries, over 45 cities and 12 universities. 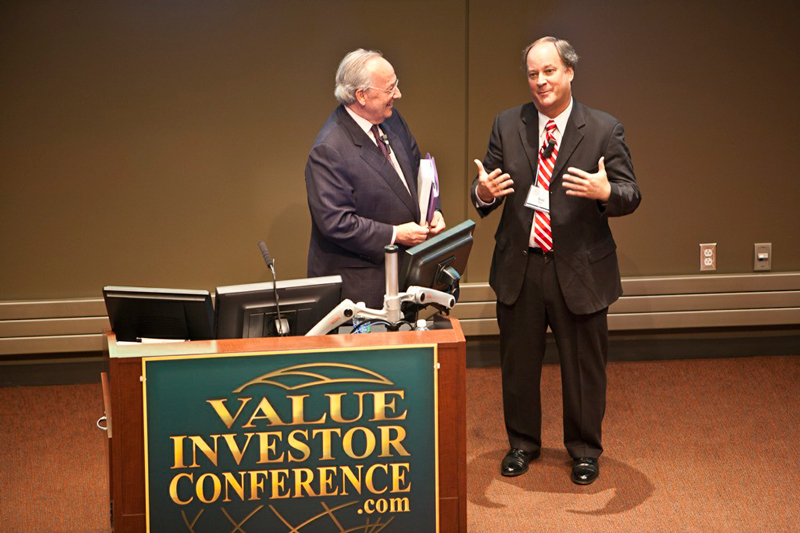 Miles is the founder and host of the original Value Investor Conference held each year immediately preceding the Berkshire Hathaway annual meeting. Attendees from all 6 continents enjoy this unique retreat style forum featuring presentations from Warren Buffett CEOs, global investment managers and best-selling authors. In the fall of 2011, at the University of Nebraska at Omaha, Robert Miles created the curriculum and began teaching a graduate Executive MBA course based on his worldwide lectures and titled The Genius of Warren Buffett: The Science of Investing and the Art of Managing. This one of a kind program includes a distinguished speaker series, multiple valuation case studies of actual businesses and stocks purchased by Warren Buffett, and for the final exam, student presentations of businesses they think would best fit into the Berkshire family of businesses. Miles is a graduate of the University of Michigan Business School and resides in Tampa, Florida. Peter A. Lefferts brings along his vast international experience in the financial and banking sector, having served the Citigroup and American Express for four decades. Peter is the former Executive Managing Director of American Express Financial Advisors (predecessor to Ameriprise Financial). He currently serves as an Independent Director on the Board of the American Express Bank, FSB, and on the Bank’s Audit & Risk Management Committee. The American Express Bank is the major provider of American Express Card products, lending services, and bank deposits in the USA. He is also an active member of NACD. Rittenhouse Rankings works with Fortune 500 companies to strengthen execution and financial performance. L.J. Rittenhouse coaches corporate teams to identify blind spots and create trust-building stakeholder communication and action strategies. Rittenhouse’s new book, Investing Between the Lines, (McGraw 2013), reports on companies that lead with Candor and those which have not. It was endorsed by Warren Buffett in his 2013 shareholder letter. Lawrence Cunningham: the Henry St. George Tucker III Research Professor at George Washington University Law School and Director of GW's Center for Law, Economics and Finance (C-LEAF) in New York. Cunningham is the author of numerous books including The Essays of Warren Buffett: Lessons for Corporate America (in collaboration with Buffett, a thematically arranged collection of his writings), The AIG Story (written with Hank Greenberg) and Contracts in the Real World: Stories of Popular Contracts and Why They Matter (Cambridge University Press 2012). Cunningham's research appears in leading university journals, including those published by Columbia, Cornell, Harvard, Michigan, Vanderbilt and Virginia; his op-eds have run in the Baltimore Sun, the Financial Times, the National Law Journal, the New York Daily News and the New York Times. He blogs at Concurring Opinions. On Amazon, Cunningham has often been ranked one of the top 100 authors in the category of business and investing. He lives in New York City and Washington DC with his wife and two daughters. Anupreeta Das is a New York-based Wall Street Journal reporter covering Warren Buffett and his company Berkshire Hathaway, as well as billionaires and family-owned business empires. She previously covered mergers and acquisitions, breaking news of some of the biggest deals post-financial crisis. Before the Journal, Preeta reported on technology, media and telecoms deals for Reuters. She has also written for The Boston Globe and other publications. She is the recipient of two Society of Business Editors and Writers breaking news awards and a 2013 Loeb Award finalist. She holds graduate degrees in journalism and international political economy from Boston University and the London School of Economics. Karen Linder, author of The Women of Berkshire Hathaway, is Founder and a Principal of Linseed Capital LLC, Co-Founder and President of Tethon 3D, and a Berkshire Hathaway shareholder. She is an entrepreneur, artist, scientist and a member of the Nebraska Angels and Women Investing in Nebraska (WIN). 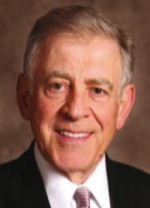 Linder founded and sold Heartland Pathology, Inc. and served on the faculty at the University of Nebraska Medical Center. She currently serves as a Director on the boards of SkyVu Entertainment, KANEKO and The Museum of Nebraska Art.